Sameera owns a photography studio in the Sahab neighborhood, a low income area of Amman, Jordan with a predominantly Bedouin population. She is married and has four children, two girls and two boys, and has been a client of Microfund for Women (MFW) for 10 years. Sameera started in photography when she married her husband, who is a professional photographer, and quickly learned the trade. She thinks that women are especially good at photography because it requires an artistic and sensitive approach, qualities that women tend to have. 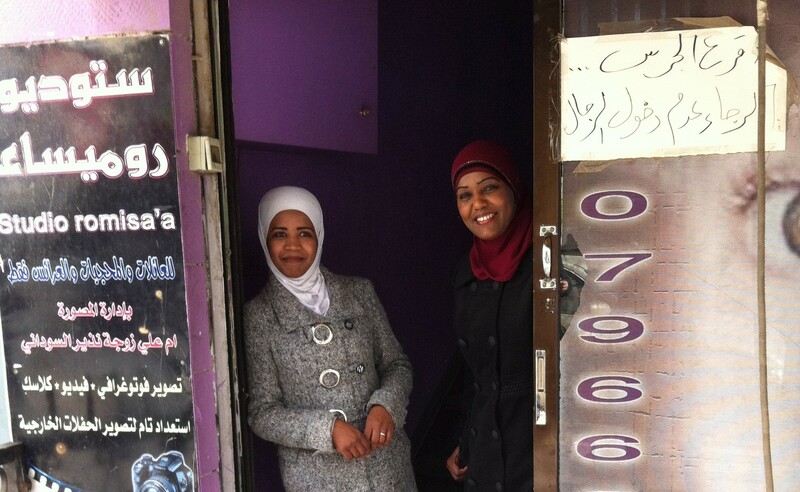 Sameera got a loan from MFW to start her business (the first one for 1,000 dinar, approximately US$ 1,400). The beginning was especially tough, as she was the first woman to open a storefront business in the Sahab neighborhood, and the male shop owners didn’t approve of her presence. Many times, she arrived at the shop in the morning only to find her signage broken and her padlocks crushed. It took all her perseverance and strength to endure this harassment, but finally, she managed to gain acceptance and her business started to thrive. Sameera is very proud of what she has achieved through hard work and dedication: an apartment, a car, a plot of land as well as a good education for her children. Her eldest daughter is at a university studying to become a journalist, and her other daughter is in high school. The two boys are also in school. The four children also help in the family business taking turns assisting their parents running the studios. Sameera keeps looking at the future and has bigger dreams: she would love to own an event hall for parties where she could provide all the elements that make for a great celebration: the food, the music and of course the best photography services in Amman! 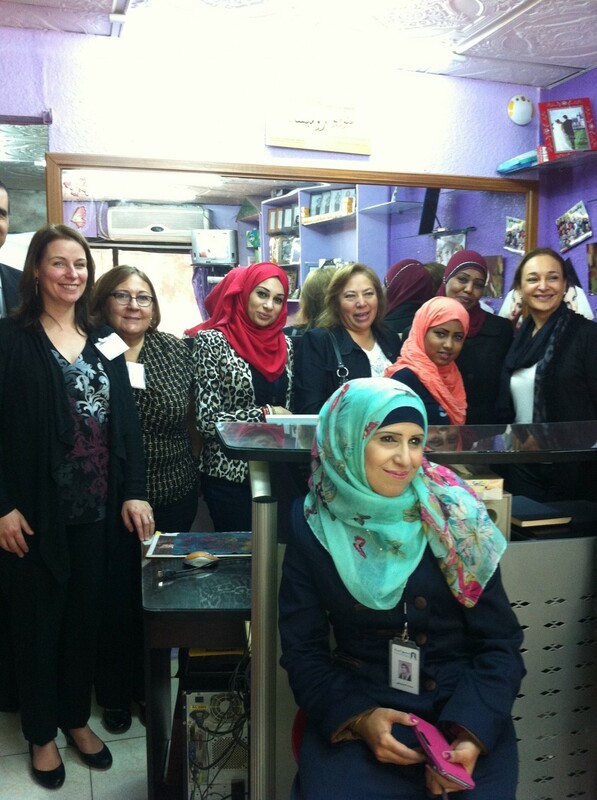 During the Building Women-Focused Finance Conference held in Amman last November, Women’s World Banking staff and network members had the opportunity to visit host organization Microfund for Women’s clients.